The need of interaction and exploration of the public space, as she mentions, push Iris Anna Zervou out of the usual workplaces. 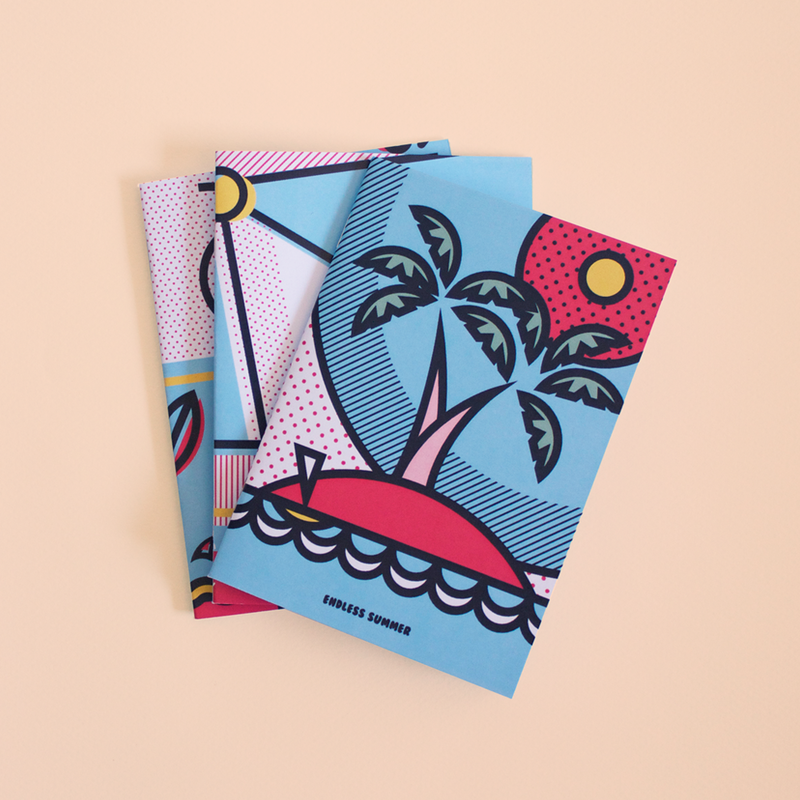 Graphic designer and visual artist in the profession, this month will be talking to us about her special work. The joy is ours, since her works stand out in an almost male-dominated place. Which is your relation with visual arts? Have you studied anything when it comes to this subject? The tendency to creation as well as imagination comes from my childhood. It’s a fact for me too that drawing and writing existed in my life since I was young. I’ve studied graphic design. That was the pushing force for a more focused kind of creation that through time led me where I am today. When did you begin to create in public space and which was the uncatered need that wasn’t fulfilled by the applications you had got involved until then? The need of the explorer. The inherent desire to see what else is out there. Perhaps the challenge of getting away from the introversion of the paper and see how I’d interact with the space as a place and as a source of inspiration too and how a sketch on a paper would stand on a wall. Somewhere in early 2012, I met a man in a cafe at Psyrri, who was involved with graffiti being a crew member. With the genuine spontaneity of that moment I told him I wanted to follow as an observer the next time they’d go to a wall. Thus, with time, wall to wall I got where I am today. Does your job has a continuity between the different styles? Which are your most notable influences? It’s only reasonable to have a continuity. An aesthetic line on which I am moving, so it comes out inevitably in all the different styles. As a child I loved Morali’s art. I was really moved when I saw on an exhibition for the first time Giacometti’s sculptures. Due to my mother ‘s profession -stage designer- she possessed a variety of designs and mock-ups in our home and I used to frequently follow her in the workplace. After that along with university came the Russian Pioneer, Constructivism, Bauhaus. Essentially, however, influences can exist everywhere. I like to observe the world looking for motifs and geometry. In nature, on the floor, in buildings, in doors, in everyday objects, in different corners, between somewhere and nowhere. Is there a specific idea you’re trying to communicate each time? How much does each piece relate to the particular environment? It depends on the time. It has happened to begin doing something pre-designed, while other works come out of the need for experimentation, exploration and creation. It’s a perpetual study on motifs, materials, geometry, a creative play. Each space has its own history and personality, so it affects the outcome. In an almost male-dominated place, your work is singular. How important is the existence of pluralism? Have you encountered any difficulties or doubts in your start? We are all human beings coexisting on the same planet, somewhere will be more women, elsewhere more men, and sometimes it will even be the same. I don’t want to stay on numbers. We all got doubts, regardless of gender and age. After that it’s up to each one how to filter them and work afterwards. 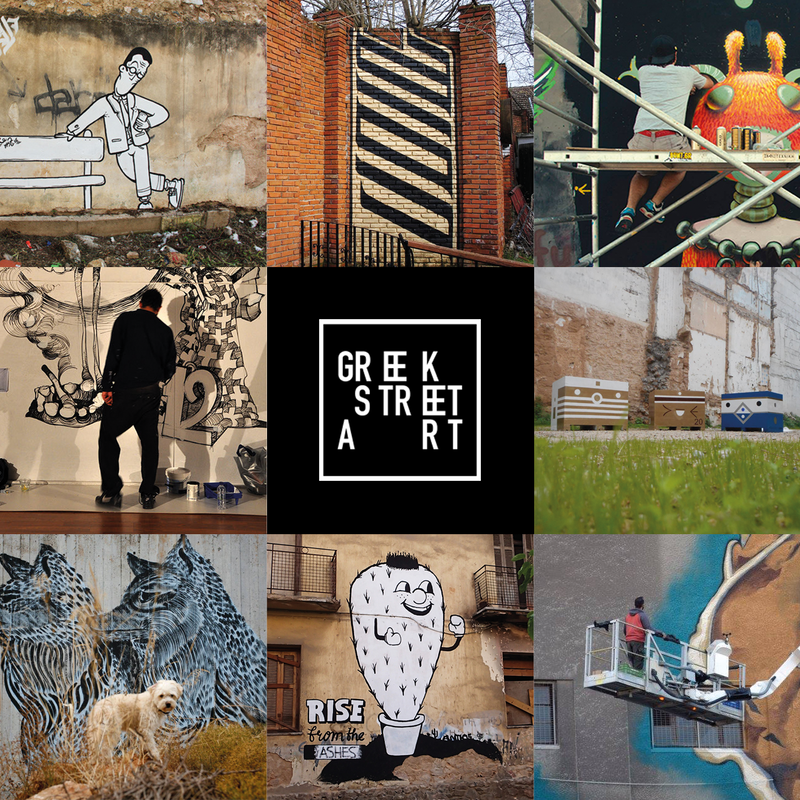 Are there other female Greek street artists you admire and believe they do a great job? There are several talented female Greek artists, who I respect and admire their work. I don’t want to talk specifically about someone with the risk of forgetting one. It looks like you pick places where the walls aren’t very dyed. Is this happening due to the freedom and perhaps the amount of time a more remote area offers? What do you have to say about the image of areas like Exarchia? I don’t make a plan about the place I’ll paint before I start, it just comes somehow naturally. 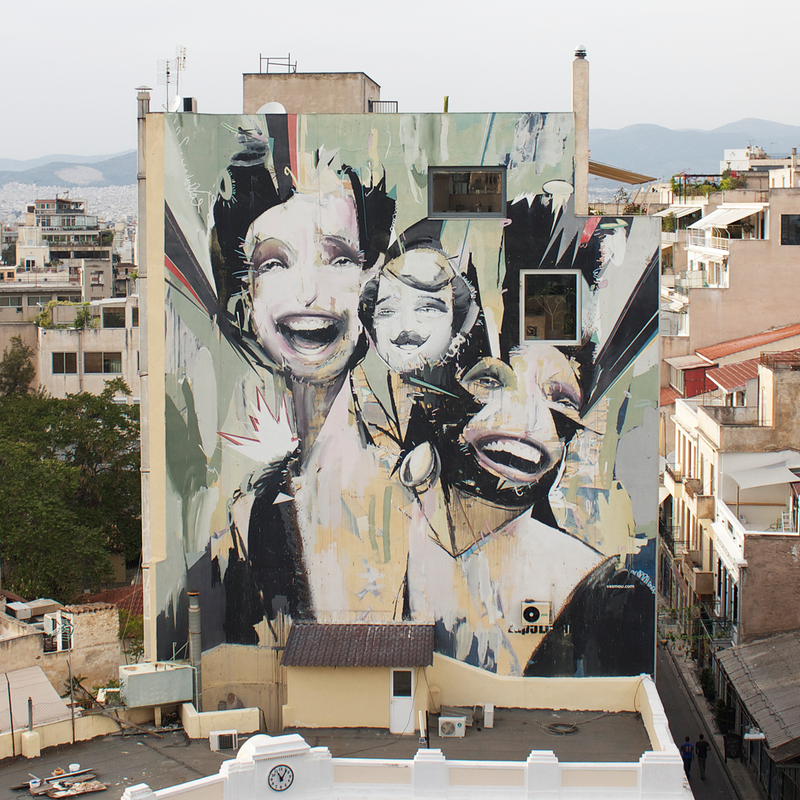 Exarchia is a gallery in the city with some very powerful artworks. I clearly can’t like everything that’s there, nor can I agree with every wall that has been painted. How important are, in your opinion, the state assignments for the work of a street artist? How different would things be if everything was organized and measured? It’s essential because it’s something real, that’s happening, there are people who occupy with it. It’s important to give them opportunities, to accept them and have an evolution through the interaction. As in any field. The buildings and the walls are an example of the city’s character, same with Athens. With its charm, the right and wrong choices, the experimentation that either succeeds or not, its indecisiveness and inertia, its strength and its history. So I can’t imagine a hypothetical scenario where every wall with a mural, will be a result of an organized and measured process. Has your work on the road so far helped you in your career or is it just a hobby you do in your spare time? It began as an experimentation that eventually continued and still holds. Nevertheless it has helped me in my professional career. Let’s talk in 10 years. Posted in Street Art and tagged art, creative, greece, greek street art, iris anna zervou, modern, mural art, people, public art, street art, street art europe. Bookmark the permalink.